The 2008 iShares Cup Sailing Series is set to visit Hyères, the legendary French sailing venue, on 13-15 June.The iShares Cup, which takes place in Extreme 40 catamarans, is a multi-stage sailing circuit which visits five fantastic venues around Europe — each chosen for their superb sailing, excellent spectator viewing, and stunning locations. 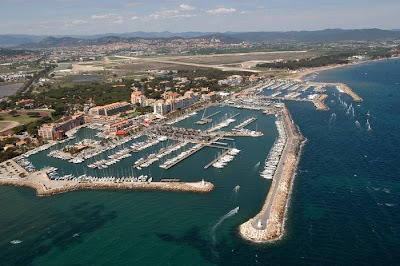 Hyères is now confirmed as the second city on the circuit, and has been selected for its combination of the famous Mistral wind and warm Mediterranean waters, making perfect sailing conditions. iShares Cup competitors can look forward to some high-octane, high-speed racing at Hyères in the powerful Extreme 40s, meanwhile spectators and visitors can enjoy watching the action from the elegant French Riviera town’s palm-lined waterfront.